Ever wish you could have a Range Rover but couldn't afford one? Well, you can live your dream through your kids now when they are driving around town in their very own Range Rover Sport! 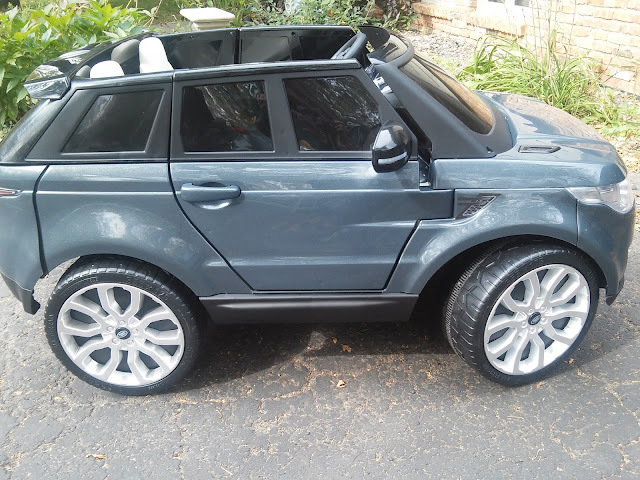 One of the world’s hottest luxury sport vehicles is now pint-size -- as in fit for a 2-year-old! Toymaker Feber is known for bringing grown-up dreams to kids with their sleek sports cars and SUVs that define the WOW factor and they have done it again with this super sleep and awesome Range Rover Sport! When one seat just won’t do and siblings (or next-door neighbors) are happy to share the road, this 12V edition for $399.99 is simply brilliant. Kids can connect their portable music player to the vehicle’s sound system and rock out to their favorite tunes. Press the “Start” or “Engine” or “Horn” button for authentic sound effects. 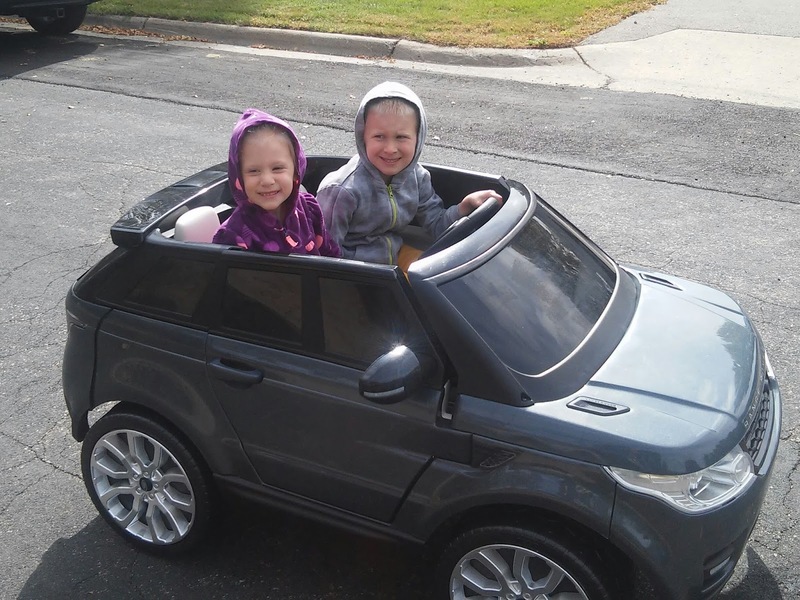 Every youngster (and Dad) on the block will definitely take notice as the Range Rover Sport dashes down the sidewalk! Fun features like working doors add to the realistic vehicle play. 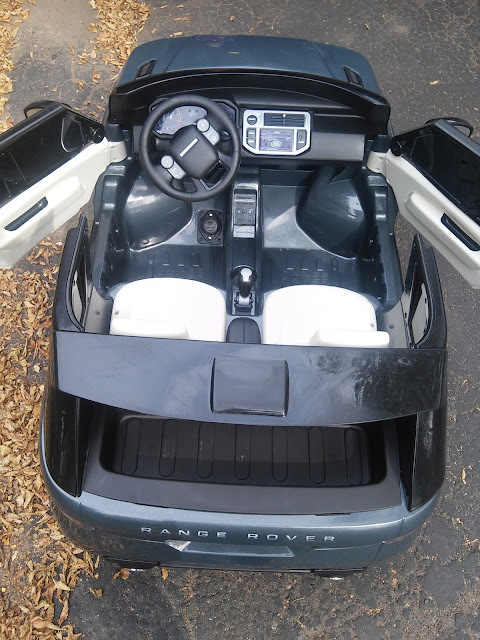 With a little more power, this car can drive up to 4.5 mph! Note the molded traction on the wheels and the visible tailpipe in the back. 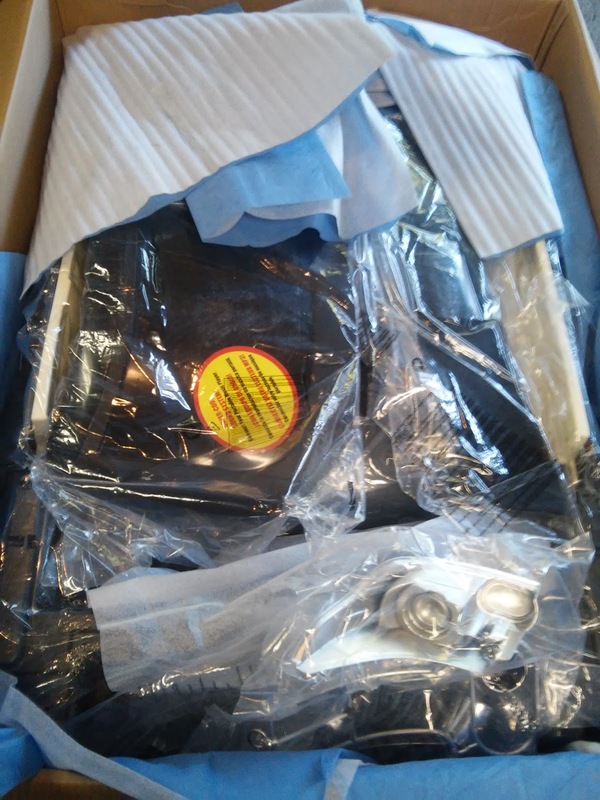 Center console holds gear shifts for forward and reverse action. Choose from white, grey or new for 2015 -- sleek black. We did have to assemble it ourselves and it took about an hour to put together. It wasn't hard to assemble. The directions were clean and easy to follow and the parts assembled easily. 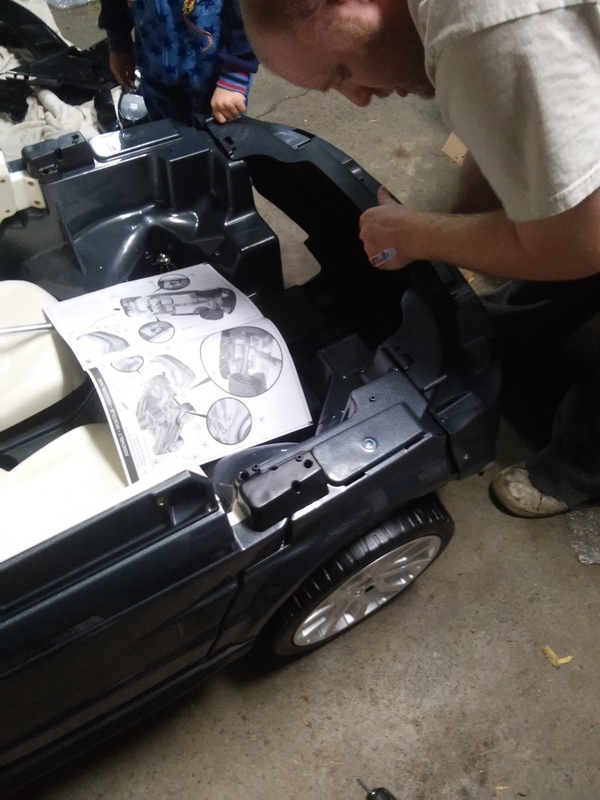 Plus, it was fun to put together as a family and the kids enjoyed helping my husband put their very own car together! 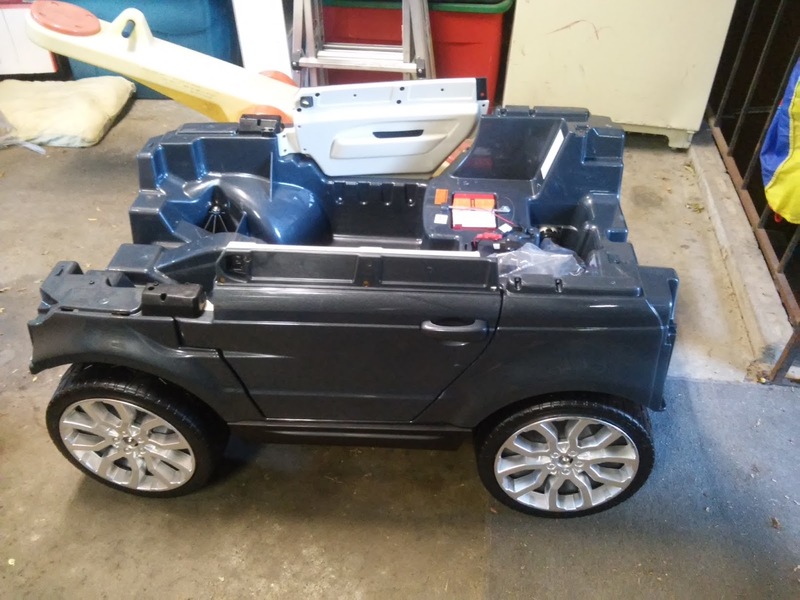 Once it was together, the kids couldn't wait to get in it and give it a spin! 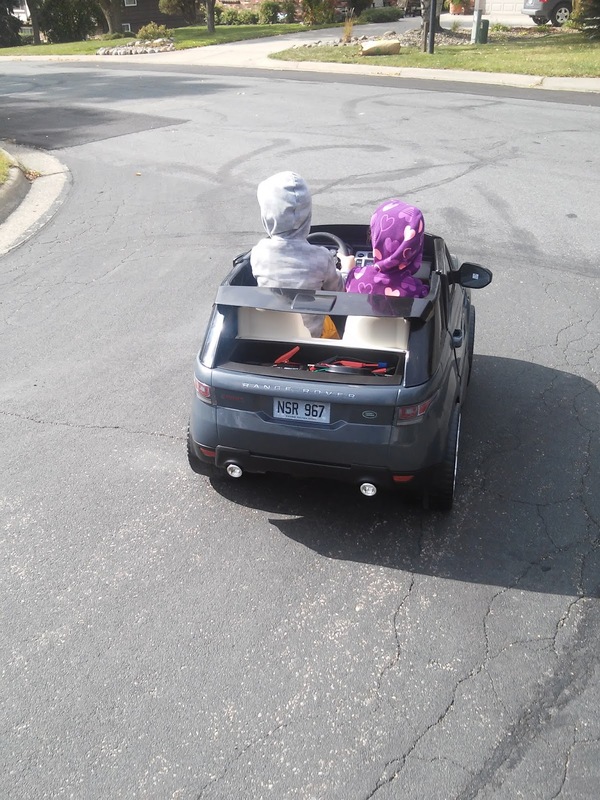 They loved cruising down the road, down the sidewalks and even on the grass. It drove nicely and was easy to handle for my 5 year old. 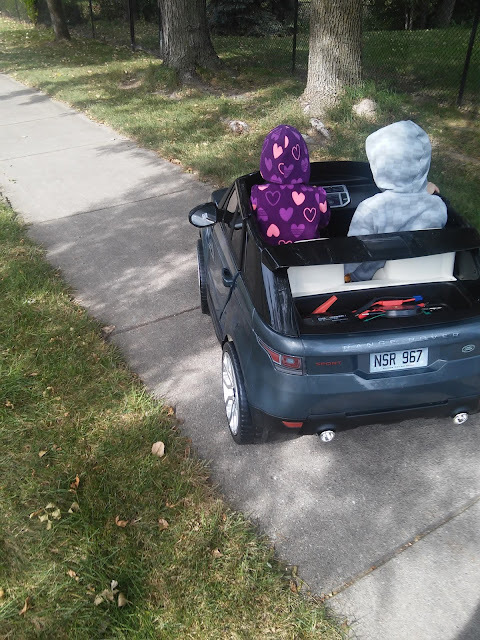 Overall, my kids really liked this car and had a blast driving it! My only constructive feedback is that some of the parts seemed a little cheaply made. 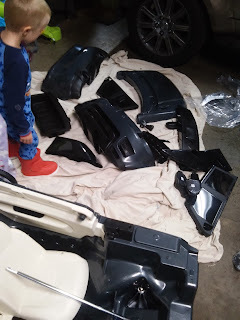 The windshield was scuffed and had marks all over it out of the box, one of the doors didn't align very well, it was quite loud to drive (see video) and we did wish it had two different speeds for different ages. My 3 year old wasn't quite able to control the car at the speed it goes so I do recommend it for older children. But as you can see, the kids LOVED it, felt like grownups with their own adult-looking car and couldn't ride in it enough! You can purchase the Avigo Range Rover Sport 12V Ride-On exclusively for $399.99 from ToysRUs.com. 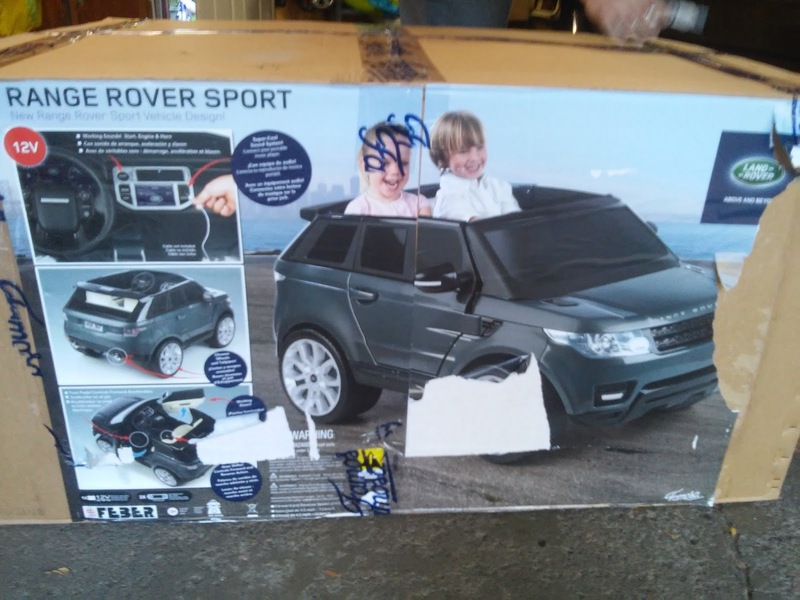 Toys R Us shoppers have the option of picking up the Range Rover and assembling it at home or arranging for the pros at Toys R Us do it for a $25 fee.